By Leland R. Johnson, Ph.D.
Life-Saving Station #10, docked at the wharf in Louisville, Kentucky, is a unique installation in American history. The only such federal installation on the inland waterways, this rare floating National Historical Landmark guarded against navigational disasters from 1882 until 1972. 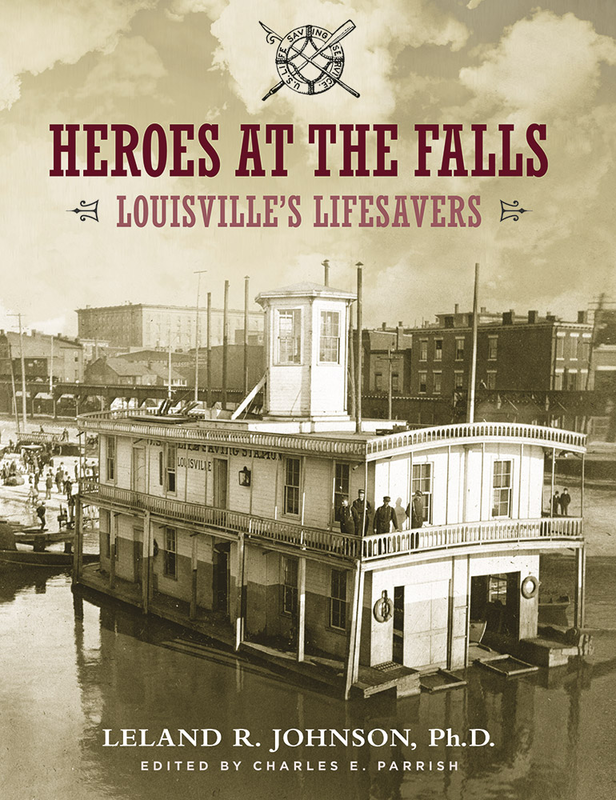 Founded and manned by locally-grown heroes, the Life-Saving Station maintained a constant vigil to protect vessels as well as their passengers, cargoes and crews from destruction on the jagged rocks of the Falls of the Ohio in the days prior to modern lock and dam systems. Dr. Leland Johnson's book tells, for the first time, the compelling story of this first and only U.S. Life-Saving Service and Coast Guard station, and the remarkable crews who saved thousands of lives, countless numbers of boats, and millions of dollars of cargoes at the Falls of the Ohio. After a misspent youth on the Ohio River at Joppa, Illinois, Leland R. Johnson earned history degrees at Murray State and Saint Louis Universities and a Ph.D. at Vanderbilt. Over the last half-century, he has researched and written 42 histories for the U.S. Army Corps of Engineers, the Departments of Energy and Justice, and local and state agencies. Until he passed away in late February of this year, he lived at Westmoreland near Nashville, Tennessee, with his wife Ernestine and their family — Angela, Carmen, Jennifer, and Leland Buddy. Editor Charles "Chuck" Parrish is a retired historian with the Louisville District, U.S. Army Corps of Engineers. He worked with Dr. Leland Johnson on numerous Corps and Ohio River history projects for nearly 40 years. Most recently, he has served as a consultant to the Rivers Institute at Hanover College.